Whenever you speak to a new client about an SEO campaign, the first thing that is often mentioned is how they feel their current rankings are not very good or how they have noticed a drop in rankings, rather than the growth they were expecting. Of course, from a client’s point of view, this is perfectly natural, as SEO has for many years now been sold on keywords, where the SEO company comes in, increases your rankings on 5 keywords and everyone is happy. Although, this is not quite true, because many of these keywords that rose through the Google game of snakes and ladders never actually led to an increase in traffic, but both parties were quite happy for a short while, as the client saw these keywords rise, and the SEO firm were doing everything that they were asked to do. But, as businesses, companies and clients got more savvy about SEO and especially Google Analytics and tracking traffic, it often became pretty obvious that these keywords were not leading to an increase in traffic, or the increases in traffic were not resulting in enquiries, conversions and of course sales. So, on one hand the SEO company got the results that were expected of them, but the client did not see an increase in business, which pretty much made the industry grow more into delivering results and increasing business, rather than worrying about green arrows of joy and red arrows of sorrow. Of course, I am not saying every SEO expert worked like this, in fact the best ones have always been about working with clients to increase business, but it has certainly made identifying the correct keywords the top priority for campaigns, and making sure that each of these keywords has enough traffic and long tail options to really make it worth chasing. 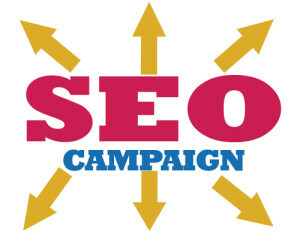 If you are working with an SEO agency then it is vital to make sure that the goal you are chasing is going to increase your business and then identify the correct route to this method, as local businesses can achieve a wealth of results by making sure their Google My Business page is ranking on the maps, rather than chasing keywords they may not rank for. The issue with tracking keywords is not always about the volume they will bring, as you have to bear in mind that a few factors will now effect the rankings you see, to the rankings someone else might see, so it is no longer a massively accurate way of proving results. Google is now delivering results based on user location, which means if you search for “plumbers” in your home in Egham, you are going to get totally different results if you search from work in the centre of London. This means that where you might rank page one in one county, you could rank page 2 or 3 in another, so when it comes to local searches tracking keywords is not really the most accurate way of proving success. If you are signed in to Google then you will usually see a difference in results than when compare to not being signed in, and even if you are signed out your computer stores your browsing history anyway. This means that you could see different results to the person sat next to you in your office or home, as whether you are signed in or not, Google will often use your browsing history to deliver the best results. Rankings go up and down all day, so the results you see now could be slightly different to the results you see later in the day. Of course, if your rankings go from page one to page one hundred every day then you have major issues, but generally movements of a few places are perfectly natural, which is why ranking fluctuations are also going to be problematic if you are trying to judge results from an SEO campaign. So, the moral of the story is to simply base your SEO campaign on the result it brings for your business in terms of traffic, sales and income, rather than worry about why your green upwards arrow is now a red downwards arrow and yet the impact on traffic has not even been noticed. Thanks to the team at IS Digital Marketing for this article, an SEO and PPC online marketing company covering the South West, with Bristol, Gloucester and Cheltenham their main area of coverage.